After removing the pot, unfold the roots that are turned author of the pot and clear the rootlets by directing them to the outside of the root ball. Place each clod at an equal distance (depending on the variety) from each other. Adjust their height if necessary by removing or adding soil Mix 3. After complete absorption of the watering water, complete the filling of the hole with the mixing soil Mix 3. 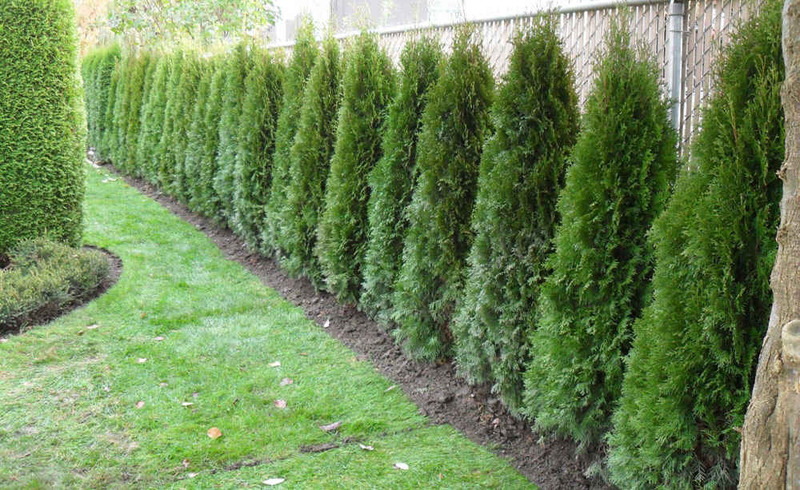 Add along the trunk of the shrubs, a greasy hose that is covered with a mulch of cedar Miracle Mix of 7 To 8 cm thick. The greasy hose will maintain the moisture required for a new planting, this implies regular watering, but without soaking the soil. Allow to dry between watering to a depth of about 5 cm. In the second year, add fertilizer for trees and shrubs 15-8-15 from mid-May. Repeat in mid-June and mid-July for complete fertilization. Advice: Before starting the project, it is important to obtain information from your municipality or from the public services. Hale planting is subject to municipal bylaws. The hales are much appreciated by certain animals that find refuge there. The fruits of certain plant species such as cottonéasters or viburnum produce berries that can serve as food for birds.